While there is an LCD on the back of most digital cameras, its small size limits its usefulness. So when laptops got smaller and lighter, photographers began bringing them along on the road. Being able to immediately check the quality of the shot is reason enough for photographers to add seven more pounds to their take-along gear. Photo bag makers such as Kata noticed the trend and began adding a padded pocket, sized for a laptop, to some of their bags. That was a big help as it meant photographers no longer had to have a separate bag just for the laptop. Today, laptops have pretty much became standard equipment for photographers in the field. So it should come as no surprise that every one of Kata’s new backpacks (LPS-216 DL, LPS-116 DL, 3N1-22 DL) we are going to take a FirstLook at today has a padded laptop compartment. 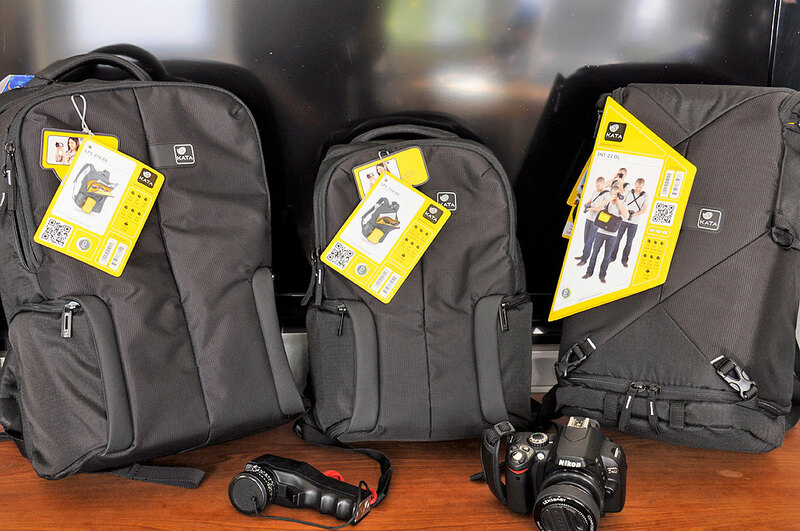 These three new Kata bags differ in size (LPS0216, LPS-116, 3N1-22: front, side, back, top), but all are backpack-style units designed for DSLR users. All have strategically located grab handles, rugged zippers, and are made to last. 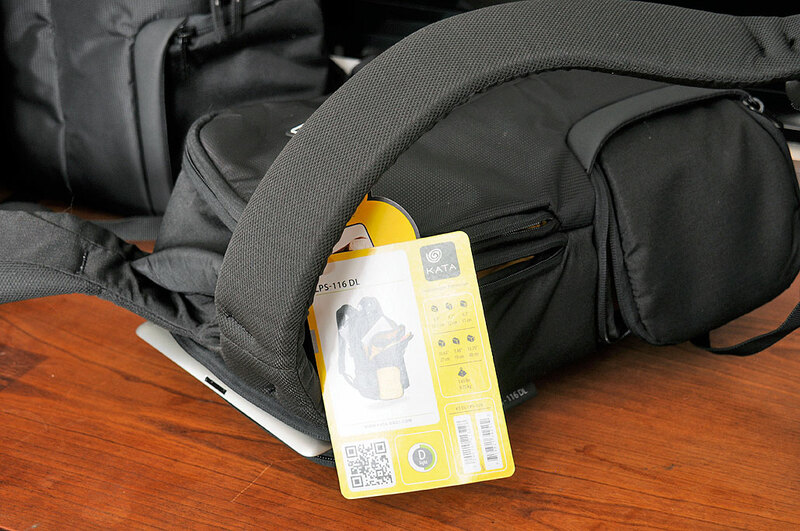 They all have pockets for personal items (pens, wallet, etc), configurable padded sections for one camera/multiple lenses, and a padded compartment for a laptop or tablet. The widest of the three is the LPS-216 DL and can accommodate a 15″ laptop. This bag would be a good choice for the photographer who has a larger DSLR and wants to bring along a few prime lenses. Having a choice in lenses out in the field is helpful, as is the ability to review images. However, a laptop is kind of an overkill for such a task. Many photograhers do it because they didn’t have a better option. 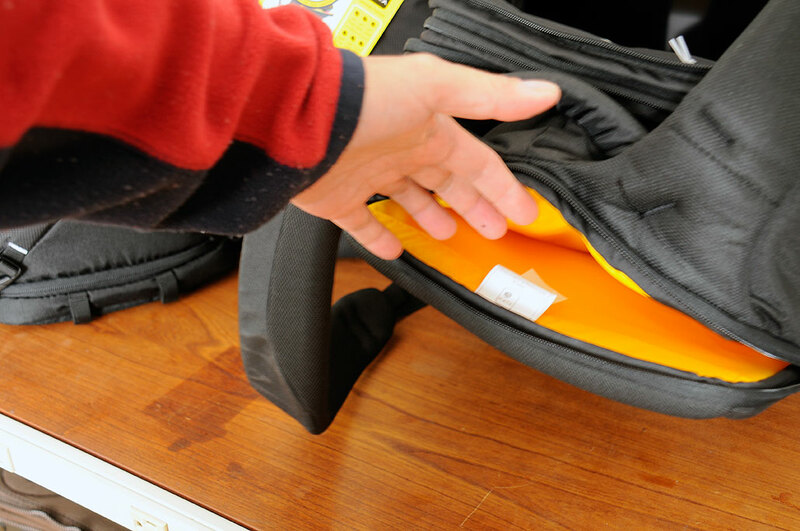 When the iPad began getting traction with photographers, Kata recognized it and responded by sizing the compartment of some of their new bags specifically for the tablet (3N1-22 DL , LPS-116 DL ). The 3N1-22 DL is the roomier of the two packs, but both are much narrower than the LPS-216. We think these two new Kata bags are perfect for city/day shooters who want to be quick on their feet, but still be photographically and technologically well-equipped. Yesterday we mentioned that we have decided to allocate one of the Nikon bodies for use with the Lensbaby Composer Pro. Our reasoning is that with a dedicated body we will use those lenses more often. So it is only fitting that we pack the Lensbaby gear in something which is easy to grab. After trying things out with the three bags (accessories, camera, iPad), the Kata LPS-116 DL looks to be the best Lenbaby “go-bag.” We will have a FirstUse update on the kit in November.